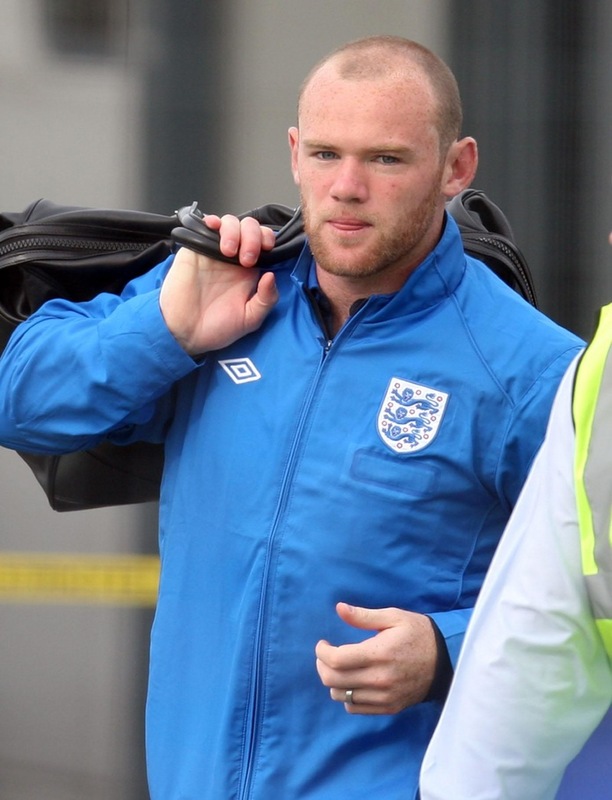 England Footballer Wayne Rooney leaves the terminal building at Luton Airport, Bedfordshire. The footballer will head to Switzerland with the England team amid lurid allegations about his private life. Swollen eyes from crying, hangdog expression, newly shaved head. It’s the look of a man who is an a world of pain at home – there is no doghouse big enough for Rooney after what the tabloids printed on Sunday. Is he in the right frame of mind to play for England against Switzerland tomorrow? I have no idea, but even a distracted Rooney is a better bet than the alternatives, as Friday’s win over Bulgaria showed. Another distraction that he didn’t need at this stage of his career. Thats the end of them I reckon, now he’ll find a woman that wants to go out with a footballer. She was with him since he was a young lad before the fame………….